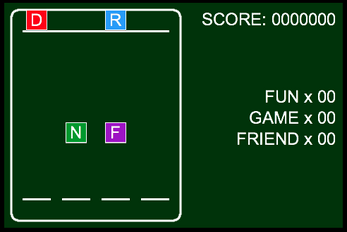 I'm still new to uploading web game zips to itch. 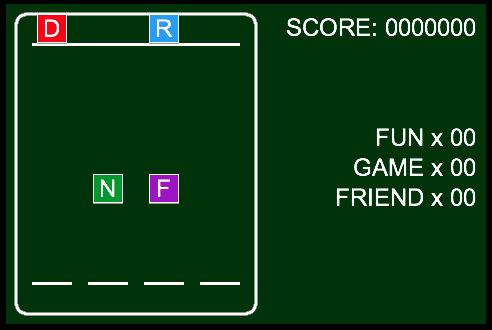 You can also play my game on my personal website, found here: liamchessell.com/stackwords1_0. 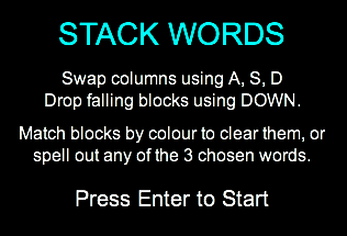 Stack Words is a falling block puzzle game inspired by the Gameboy and NES title Mario & Yoshi. In order to earn points you must match the falling blocks by colour or use them to spell out any of the 3 chosen words at the side of the screen. 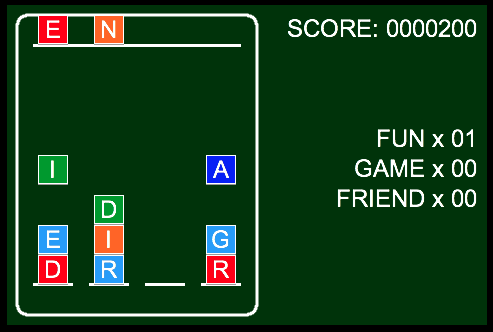 You can do this by pressing A, S or D to swap columns around and DOWN to send blocks falling to the bottom of the screen.